Robert L. DelRosso, age 91, a resident of Seekonk, MA, died on December 4. He was the beloved husband of the late Evelyn DelRosso and the father of Kenneth DelRosso and Roberta DelRosso, both of Seekonk. He also is survived by two grandchildren and three great grandchildren. Bob was a devoted husband, father, friend, and citizen who exemplified the call to serve his community and make it a better place for all to live. He stayed close to his roots as a local farmer and road construction expert, serving as Superintendent of Seekonk’s Public Works Department for many years. Under his leadership, the Town established one of the first curbside recycling programs in Massachusetts, which became a model program emulated throughout Southeastern New England and beyond. 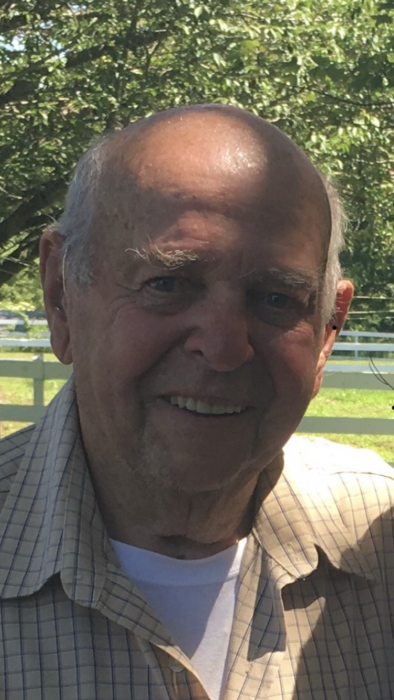 Following his retirement, Bob and Evelyn helped their daughter Roberta develop and operate Teaberry Knoll Stables, a therapeutic riding center that served hundreds of disabled children and adults from throughout the region for more than a decade. Bob’s service to the Town of Seekonk included terms on the Planning Board and Conservation Commission and he and his son Kenneth restored Burr’s Pond Dam. He served multiple terms as a member of the Seekonk Board of Selectmen, as a member of the Town Meeting, and on several By-Law and Town Charter committees. He was a proud, lifelong Democrat who understood the wisdom and value of bipartisan collaboration to advance the common good. Bob remained active in Town affairs through leadership and participation in the Seekonk Concerned Citizens advocacy group. Bob also was a passionate student of American and world history and politics, faithfully mining lessons from the past to inform current thinking and actions. He mentored many emerging community leaders, imparting to them his knowledge, insights, and experience and always remained invested and interested in their success. Bob was revered for his prodigious memory, particularly about local Town lore. In recent years, he helped produce a popular local cable program on the history of Seekonk. A true gentleman, role model, mentor, and friend, Bob will be fondly remembered and greatly missed by his beloved family and many friends. His graveside service will be held Wednesday, December 12, 2018 at 11:00 am at Rehoboth Village Cemetery, Bay State Road with a service to follow at 12:00 pm at His Providence Church, 1275 Fall River Avenue, Seekonk. Relatives & friends are invited & may call on Tuesday from the hours of 4:00-8:00 pm at J.H. WILLIAMS & CO. FUNERAL HOME, 210 Taunton Avenue, Route 44, East Providence. In lieu of flowers, gifts in his memory to the Juvenile Diabetes Research Foundation (JDRF), 60 Walnut St., Wellesley Hills, MA 02481 will be appreciated.